They may not look fancy, but here at Legal Sea Foods we believe they are the very best oysters knives available! That's why our expert shuckers use these pointed-tip knives in all our restaurants. 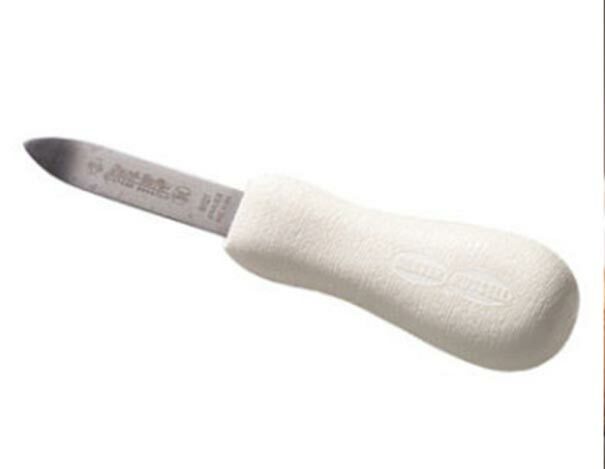 Durable and dishwasher safe, these knives will help you open stubborn shellfish with confidence and ease. Whether you are a professional or a novice, you'll appreciate the sure grip and good leverage you get from these powerful oyster knives. Order online or ask your Mail Order representative to add a knife or two to your seafood order. It's a thoughtful gesture that will be especially appreciated by any gift recipient.